← I just wrote a letter to Amazon. In other words, if you like these fruits, a tree is a very easy thing to keep around. Permaculturists all over the world love them because they produce an abundance of fruit with minimal input from the farmer or gardener. People don’t always love them. They have a distinctive flavor, somewhere between an apple, a raisin, and a date. The texture is a little spongier than the crisp, juicy fruits Westerners are accustomed to eating. 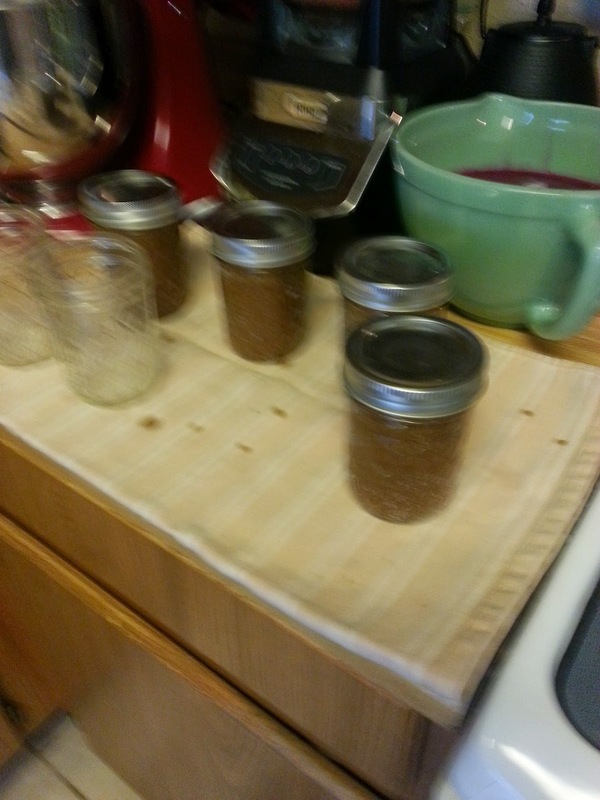 They also have a lot of pectin, so they make a fantastic home canning project. I took about 3-4 pounds of jujubes, half a Meyer Lemon, peel and all, a touch of mace, a touch of cinnamon, a single clove, a single allspice, and 3/4 inch of fresh ginger. I put it in a large pot and covered it with water and about 1 1/2 cups of organic sugar. These were whole fruits, now, with the pits and the peels and possibly some of the sticks! I boiled them all together for about fifteen minutes, and then got out a potato masher and smashed everything up, into a thick, gloopy mass. 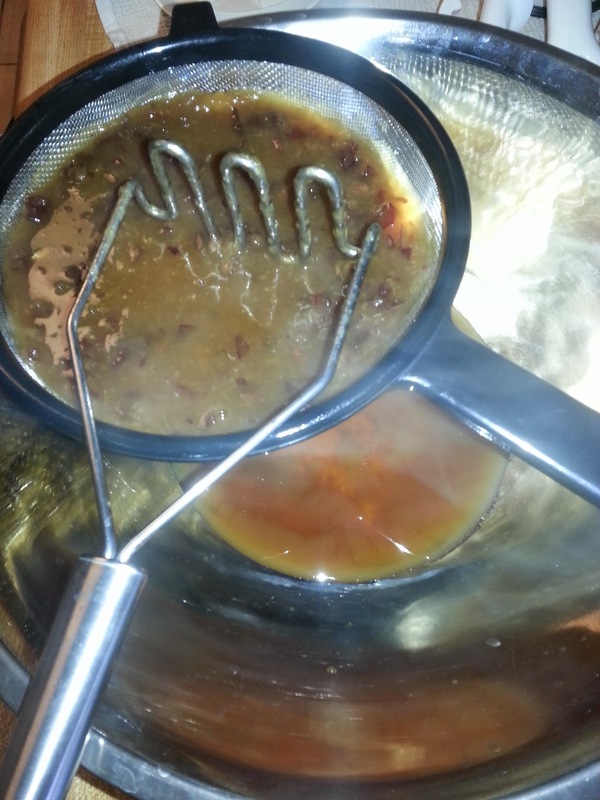 I cooked it down a little more until I got the consistency I wanted for my “jujube butter” and then I transferred it to a large sieve. I used a plastic spoon to stir and push the mushy bits through the sieve, leaving behind the peel and the pits and extra bits. It took a while to push everything through. I kept stirring and scraping it all along the sieve, to get all that delicious pulp out and through into the bowl below. It really took a while. Maybe twenty minutes? Maybe half an hour? It was a real pain. When I had all the thick, rich pulp I could get, with everything else left behind, I discarded the goop, and poured the pulp into prepared jars. 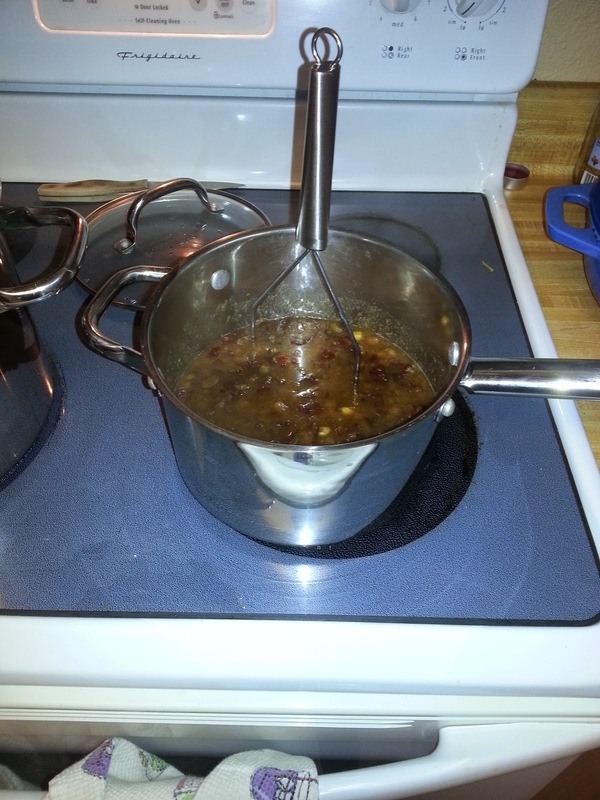 The canning jars had been sanitized in boiling water, and we used canning tongs to get them out. I ended up with four jars of a superior jujube butter, that would probably beat apple butter in a side-by-side taste test. That extra richness that one gets from a jujube is exceptional. 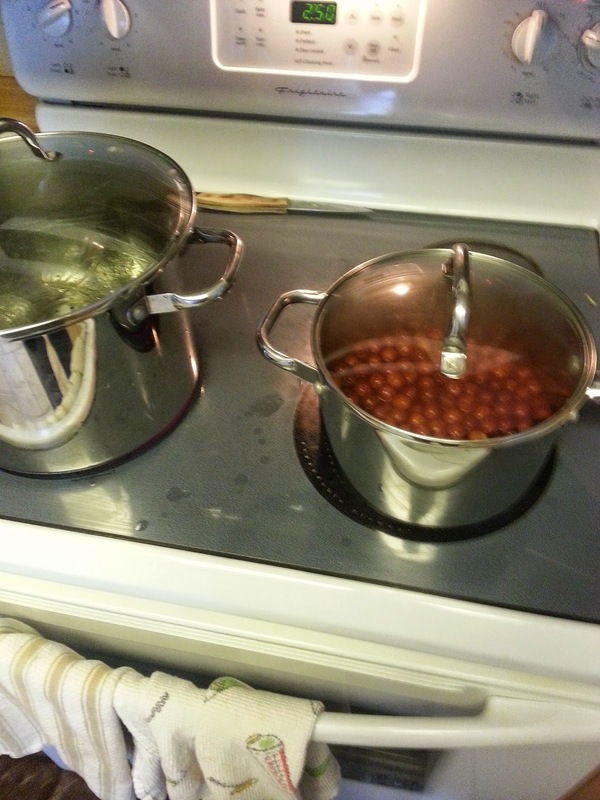 Covered, immediately, they were processed for 10 minutes in boiling water, and left to cool on a counter. where do you buy the fruit from?